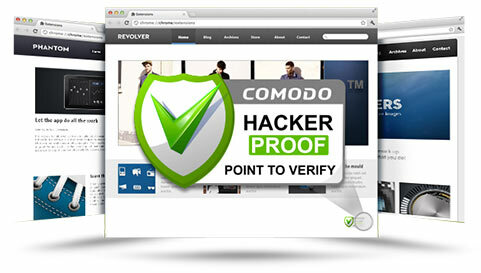 Comodo revolutionizes the way you test your website's security. Learn more about this innovative technology to protect your visitors, only available through Comodo. Call now for an exclusive offer available for a limited time only! Improve your conversion rate now! We are so confident HackerProof will improve your conversion that we will let you try it free for 90 days!